Author Jerry Campbell relates the troubled history of the Messerschmitt Bf110 that first tasted combat in Poland. 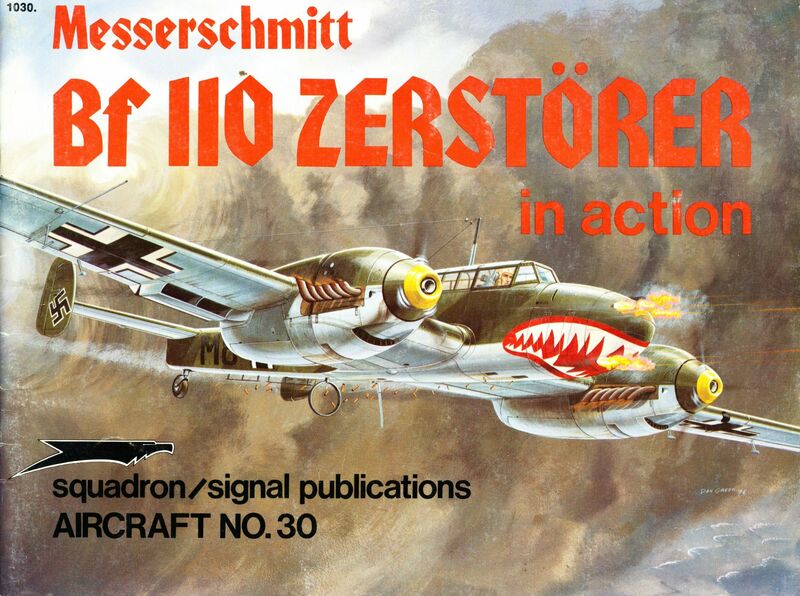 All the main variants are covered in this 50 page monograph- from the early Bf 110B to the late war Bf 110G. 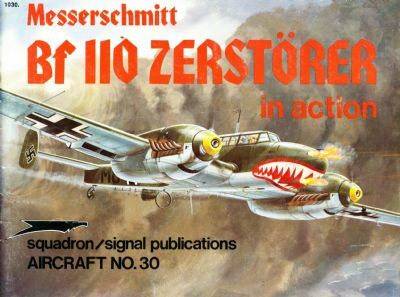 As well as a generous selection of photos, there are scale drawings,many sketches of armament and design features, together with the fabulous colour art of Don Greer in the centre- fold and outer covers.For anyone building models of this German WW2 classic, the 30th title in the In Action series is an absolute must! Good condition-slight wear on covers.